Miranda Steffey of Meridian, ID daughter of Douglas and Kristin Steffey of Mountain Home, ID and Colton Zamora of Meridian, ID, son of Richard and Penny Zamora, Mountain Home, ID were married June 2, 2018. The wedding was held in an outdoor evening ceremony at Banbury Golf Course in Eagle, ID with Robert J. Taylor officiating. The bride was given in marriage by her father Douglas. She wore a David Tutera strapless hand-beaded, trumpet gown with swarovski crystal accents and chapel train. It was complemented with a fingertip veil. The bride carried a dramatic, cascading bouquet of light pink and cream roses accented with hydrangea, amaranth and greenery. Wedding colors were beautiful shades of jade and gold. The maid of honor was Caitlin Pineda and bridesmaids were Hannah Benson, Jerrika Furrows and Amanda Scott. The best man was Adam Miller and groomsmen were Anthony Castillo, Tyler Zamora and Brock Zamora. The flower girl was Aspen Wallace and Aiden Stanek was the ringbearer. Miranda is a 2016 graduate of Idaho State University and currently employed as a registered nurse at St. Alphonsus Regional Medical Center in Boise, ID. Colton is also a 2016 graduate of Idaho State University and is currently employed as a registered nurse at Boise VA Medical Center. 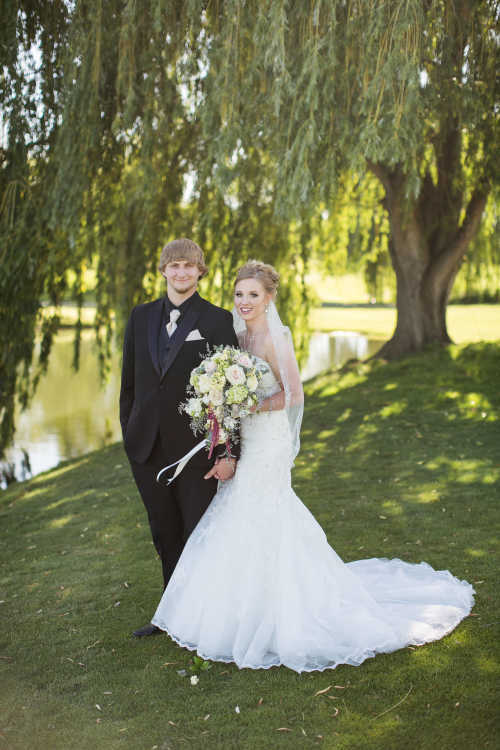 The couple celebrated their honeymoon in Maui, HI and currently reside in Meridian, ID.